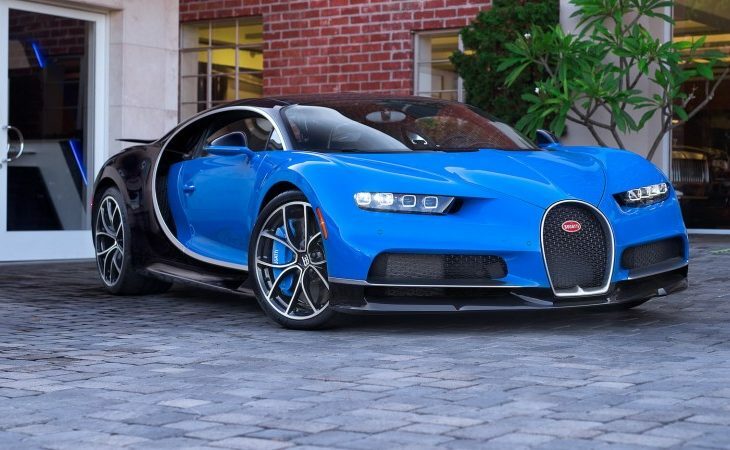 The Bugatti Chiron—the hypercar model which replaced the Bugatti Veyron—may only have hit the streets about a year ago. And, there may only be 70 produced annually, with 500 total set for production. But Mecum Auctions is selling the second example of the beyond-flashy luxury/speed monster in as many months, and all by the second month of the year. Slated to be auctioned in Los Angeles—and featured, naturally, as a main attraction of the auction—Mecum’s newest offering from the French perfectionists is this two-tone, black and French Racing Blue Chiron. With its matching French Racing Blue brake calipers, the car looks to be one of the more attractive examples of the model we’ve seen. The car’s specially-finished calipers represent an optional upgrade, of course, as do the diamond-cut Atlantic Blue Classique wheels, and the luxury Beluga Black Comfort seats; the latter option alone tacks on an additional $31K over the Chiron’s ‘standard’ base sticker price of about $3 million, at current exchange rates. 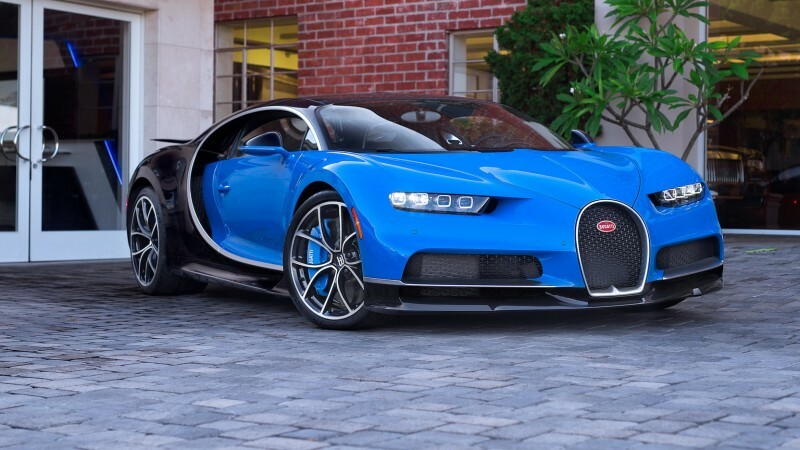 The Bugatti Chiron’s speed numbers are well-known—2.3 seconds to 60, and enough thrust to reach 261 MPH—but there’s a lot more going on than muscle. The revived marque has made its name not only in merging acute automotive engineering and luxury, but in building cars with a level of craftsmanship that recalls the Bugatti builds of the jazz age. Mecum will auction off this 2018 Chiron in Pomona, on Saturday, February 17.